UEBLER, PHILIP. - Age, 30 years. Enlisted, January 13, 1863, at Buffalo; mustered in as corporal, Co. K. January 15, 1863, to serve three years; no further record. ULLMAN, HENRY. - Age, 21 years. Enlisted, December 1, 1862, at Buffalo; mustered in as private, Co. G, December 1, 1862, to serve three years; transferred to Co. D, May 20, 1863; appointed corporal, November 1, 1864; mustered out with company, July 19, 1865, at Raleigh, N.C.
UNFFRSACK, CHARLES. - Age, 42 years. Enlisted, November 20, 1862, at Buffalo; mustered in as private, Co. G, November 21, 1862, to serve three years; transferred to Co. D, May 20, 1863; mustered out with company, July 19, 1865, at Raleigh, N.C.
URQUHART, DAVID. - Age, 35 years. Enlisted, December 22, 1862, at Concord; mustered in as private, Co. G, December 20, 1862, to serve three years; transferred to Co. D, May 20, 1863; mustered out with company, July 19, 1865, at Raleigh, N.C.
VALENTINE, JOSEPH. - Age, 19 years. Enlisted, June 30, 1863, at Troy; mustered in as private, Co. I, September 2, 1863, to serve three years; deserted, September 22, 1863, from New Dorp, Staten Island. VALKER, DANIEL. - Age, 18 years. Enlisted, October 2, 1863, at Buffalo; mustered in as private, Co. M, November 24, 1863, to serve three years; appointed corporal, May 2, 1864; captured, March 30, 1865; released, May 5, 1865; mustered out, June 19, 1865, at Annapolis, Md. ; also borne as Volker. VANALSTINE, GEORGE. - Age, 22 years. Enlisted, as a private, "unassigned," December 8, 1862, at Hudson, to serve three years; no further record. VAN BRUNT, JOHN. - Age, not stated. Borne on casualty list for June, 1865, as private, Co. L, as discharged, June 19, 1865, at Halifax, N.C.
VAN BUSKIRK, JAMES. - Age, 20 years. Enlisted, January 6, 1864, at New York; mustered in as private, Co. F, January 6, 1864, to serve three years; captured, April 20, 1864; deserted while on furlough, January 1864, from Camp Parole, Annapolis, Md. VANDENBURGH, AARON. - Age, 18 years. Enlisted, September 19, 1863, at Buffalo; mustered in as private, Co. L, September 25, 1863, to serve three years; discharged, July 17, 1865, at New Berne, N.C.
VANDERFLOE, PAUL. - Age, 40 years. Enlisted, March 2, 1863, at New York; absent with leave upon muster in of Co. F, April 28, 1863; deserted, May 31, 1863, from Camp Washington, Staten Island. VANDERVOORT, GEORGE. - Age, 22 years. Enlisted, July 6, 1863, at Buffalo; mustered in as corporal, Co. H, August 27, 1863, to serve three years; reduced, date not stated; appointed corporal, January 11, 1865; mustered out, July 12, 1865, from McDougall General Hospital, Washington, D.C.
VAN FLEET, AMOS N. - Age, 32 years. Enlisted, September 21, 1864, at Corning; mustered in as private, Co. I, October 13, 1864, to serve one year; discharged, June 23, 1865, at Tarboro, N.C., under General Order No. 83, etc. VANKENBURG, ROBERT. - Age, 39 years. Enlisted, as a private, "unassigned," October 20, 1862, at Hudson, to serve three years; no further record. VAN VALKENBURG, JOHN W. - Age, 25 years. Enlisted, August 30, 1862, at Fulton; mustered in as first sergeant, company and date not stated; mustered in as second lieutenant, Co. B, to date, April 23, 1863; first lieutenant, November 5, 1863; captain, Co. D, to date October 14, 1864; discharged, January 19, 1865. Commissioned second lieutenant, November 20, 1863, with rank from April 23, 1863, original; first lieutenant, January 8, 1864, with rank from November 5, 1863, vice Danks, discharged; captain, September 28, 1864, with rank from August 24, 1864, vice West, promoted. VAN VALKENBURG, ROBERT. - Age, 39 years. Enlisted, November 20, 1862, at Hudson; mustered in as private, Co. C, February 17, 1863, to serve three years; appointed sergeant, to date January 25, 1864; mustered out with company, July 19, 1865, at Raleigh, N.C.
VARNER, HENRY G., see Verner, Henry G.
VAUGHN, RICHARD. - Age, 24 years. Enlisted, February 24, 1863, at New York; mustered in as private, Co. F, April 28, 1863, to serve three years; appointed corporal, date not stated; captured, April 20, 1864, at Plymouth, N.C.; died, a prisoner of war, in November, 1864, at Florence, S.C.
VERMILLA, SILAS. - Age, 21 years. Enlisted, July 16, 1863, at Oswego; mustered in as private, Co. I, September 2, 1863, to serve three years; appointed saddler, November 3, 1864, captured, March 27, and released, May 5, 1865; mustered out June 22, 1865, at New York; prior service in Eighty-first New York Volunteer Infantry. VERNER, ANDREW J. - Age, 24 years. Enlisted, November 24, 1862, at New York; mustered in as private, Co. E, November 24, 1862,; transferred to Co. D, May 20, 1863; in arrest, June , 1863; deserted to the enemy, November 20, 1863, at Washington, N.C.
VERNER, HENRY G. - Age, 42 years. Enlisted, December 22,1 863, at New York; mustered in as private, Co. D, December 22, 1863, to serve three years; died, November 2, 1864, at Regimental Hospital, Camp Palmer, N.C.; also borne as Varner. VERNER, JOHN. - Age, 18 years. Enlisted, September 7, 1863, at Buffalo; mustered in as private, Co. K, September 10, 1863, to serve three years; died of disease, December 24, 1864, at Camp Palmer, N.C.
VOGELS, ANTHONY. - Age, 45 years. Enlisted, as a private, "unassigned," August 10, 1863, at Buffalo, to serve three years; no further record. VOHS, WILLIAM. - Age, 23 years. Enlisted, December 4, 1862, at New York; mustered in as private, "unassigned," December 4, 1862, to serve three years; no further record. VOLKER, DANIEL, see Valker, Daniel. VOUGHT, PHILIP G. - Age, 44 years. Enrolled, February 12, 1863, at Albany; mustered in as lieutenant-colonel, February 12, 1863, to serve three years; mustered out with company, July 19, 1865, at Raleigh, N.C. Commissioned lieutenant-colonel, November 20, 1863, with rank from February 12, 1863. VOWINKLE, JULIUS F. - Age, 21 years. Enlisted, November 9, 1863, at Buffalo; mustered in as private, Co. M, November 24, 1863, to serve three years; mustered out with company, July 19, 1865, at Raleigh, N.C.
WAGER, REUBEN A.Age, 20 years. Enlisted, August 30, 1864, at Troy; mustered in as private, Co. G, August 30, 1864, to serve one year; mustered, out, June 23, 1865, at Greensboro, N.C.
WAGNER, CONRAD.Age, 26 years. Enlisted, October 13, 1863, at Buffalo; mustered in as private, Co. M, November 24, 1863, to serve three years; appointed corporal, May 2, 1864; absent, in confinement, at date of muster out of company, July 19, 1865, at Raleigh, N.C.; prior service in Twenty-sixth New York Infantry; no further record. WAGNER, FREDERICK.Age, 25 years. Enlisted, December 2, 1862, at New York; mustered in as private, "unassigned," December 3, 1862, to serve three years; no further record. WAGONER, FREDERICK.Age, 33 years. Enlisted as sadder in Co. G, June 8, 1863, at New York; name crossed on muster-in roll; no further record. WAITE, WILLIAM.Age, 20 years. Enlisted, September 6, 1864, at Albany; mustered in as private, Co. C, September 6, 1864, to serve one year; mustered out, June 23, 1865, at Greensboro, N.C.
WAKEMAN, JOHN M.Age, 32 years. Enlisted, November 11, 1862, at Holland; mustered in as quartermaster sergeant, Co. H, November 11, 1862, to serve three years; transferred to Co. D, May 20, 1863; reduced, date not stated; mustered out, June 15, 1865, at Trenton, N.J.
WALDON, WILLIAM.Age, 19 years. Enlisted, November 16, 1864, at Buffalo; mustered in as private, Co. B, November 16, 1864, to serve three years; deserted, July 2, 1865, at Halifax, N.C.
WALKER, HOBART M.Age, 21 years. Enlisted, December 18, 1862, at West Seneca; mustered in as private, Co. D, December 18, 1862, to serve three years; mustered in as second lieutenant, Co. L, March 12, 1863; discharged, June 23, 1863. Not commissioned. WALKER, FREDERICK.Age, 27 years. Enlisted, August 20, 1862, at Oswego; mustered in as private, Co. A, November 19, 1862, to serve three years; appointed corporal, April 23, 1863; reduced, May 20, 1863; appointed wagoner and reduced, date not stated; mustered out with company, July 19, 1865, at Raleigh, N.C.
WALKER, JOHN.Age, 22 years. Enlisted, December 23, 1862, at New York; mustered in as private, "unassigned," December 23, 1862, to serve three years; no further record. WALKER, JOHN W.Age, 27 years. Enlisted, August 3, 1863, at Buffalo; mustered in as saddler, Co. H, August 27, 1863, to serve three years; mustered out with company, July 19, 1865, at Raleigh, N.C.; prior service in Twentieth or Twenty-sixth New York Volunteers. WALKER, ORLANDO.Age, 24 years. Enlisted, August 29, 1864, at Byron; mustered in as private, Co. F, September 3, 1864, to serve three years; mustered out with company, July 19, 1865, at Raleigh, N.C.
WALKER, SAMUEL.Age, 26 years. Enlisted, July 25, 1863, at Buffalo; mustered in as private, "unassigned," July 27, 1863, to serve three years; no further record. WALKER, THEODORE.Age, 43 years. Enlisted as private, Co. E, December 5, 1862, at West Troy; deserted, previous to muster in of company, March 31, 1863. WALKER, WILLIAM.Age, 26 years. Enlisted, October 27, 1864, at Schoharie; mustered in as private, Co. A, October 27, 1864, to serve three years; mustered out with company, July 19, 1865, at Raleigh, N.C.
WALLACE, WILLIAM.Age, 21 years. Enlisted, December 2, 1862, at Hudson; mustered in as private, Co. C, February 17, 1863, to serve three years; captured, August 21, 1863, at Washington, N.C.; reported missing, a prisoner of war, at date of muster out of company, July 19, 1865; no further record. WALLBORN, GEORGE.Age, 39 years. Enlisted, September 15, 1864, at Phelps; mustered in as private, co. H, September 15, 1864, to serve one year; discharged, June 23, 1865, under General Order No. 83, Adjutant-Generals Office. WALBORN, SOLOMON.Age, 38 years. Enlisted, September 15, 1864, at Phelps; mustered in as private, Co. H, September 15, 1864, to serve one year; discharged, June 23, 1865, under General Order No. 83, Adjutant-Generals Office, etc. WALLIS, FRANCIS J.Age, 24 years. Enlisted, December 19, 1862, at New York; mustered in as private, "unassigned," December 19, 1862, to serve three years; no further record. WALSH, MICHAEL.Age, 19 years. Enlisted, December 6, 1862, at West Troy; mustered in as private, Co. E, March 31, 1863, to serve three years; no further record. WALSH, THOMAS.Age, 41 years. Enlisted, November 26, 1862, at Hudson; mustered in as private, Co. C, February 17, 1863, to serve three years; also borne as Welsh; no further record. WALTER, SAMUEL.Age, 26 years. Enlisted, as private, Co. H, July 25, 1863, at Buffalo; deserted, previous to muster in of company, August 26, 1863. WALTERS, WILLIAM.Age, 21 years. Enlisted, November 26, 1862, at Buffalo; mustered in as private, Co. D, November 26, 1862, to serve three years; no further record. WALTON, HENRY H.Age, 21 years. Enlisted, February 16, 1864, at New York; mustered in as private, Co. F, February 16, 1864, to serve three years; missing in action, April 20, 1864, at Plymouth, N.C.; mustered out with company, July 19, 1865, at Raleigh, N.C.; also borne as Walton, Wm. H.
WALTON, THOMAS.Age, 25 years. Enlisted, September 24, 1863, at Buffalo; mustered in as private, Co. L, September 25, 1863, to serve three years; deserted, October 3, 1863, from Staten Island; also borne as Watkins. WALTON, WM. H., see Walton Henry H.
WALTZ, JACOB C.Age, 25 years. Enlisted, November 29, 1862, at Yonkers; mustered in as private, "unassigned," November 29, 1862, to serve three years; no further record. WALZ, FERD.Age, 33 years. Enlisted, December 16, 1862, at New York; mustered in as private, "unassigned," December 18, 1862, to serve three years; no further record. WAMKASSELL, THEODORE.Age, 19 years. Enlisted, May 12, 1863, at Buffalo; mustered in as private, Co. F, May 12, 1863, to serve three years; transferred to Co. E, May 20, 1863; mustered out with company, July 19, 1865, at Raleigh, N.C.
WARD, GEORGE.Age, 19 years. Enlisted, August 15, 1862, at Oswego; mustered in as private, Co. A, November 19, 1862, to serve three years; captured, April 20, 1864, at Plymouth, N.C.; died, date not stated, at Andersonville Prison, Ga.
WARD, GILES F.Age, not stated. Mustered into the service of the United States as first lieutenant of Co. L, to date December 8, 1864; accidentally killed, January 30, 1865, at Plymouth, N.C. Commissioned first lieutenant, October 31, 1864, with rank from October 24, 1864, vice Hathaway, deceased. WARD, JAMES.Age, 18 years. Enlisted, August 24, 1863, at Buffalo; mustered in as private, "unassigned," August 24, 1863, to serve three years; no further record. WARD, JOHN.Age, 22 years. Enlisted, July 25, 1863, at Buffalo; mustered in as corporal, Co. H, August 27, 1863, to serve three years; appointed sergeant, April 27, 1864; captured, date not stated; paroled, date not stated, at Annapolis, Md. ; mustered out, July 5, 1865, at Elmira; prior service in Thirty-fifth New York Volunteers. WARD, JOHN.Age, 21 years. Enlisted, September 13, 1864, at Williamstown; mustered in as private, Co. K, September 13, 1864, to serve one year; discharged, June 14, 1865, at Raleigh, N.C.
WARD, JOHN.Age, 22 years. Enlisted, October 5, 1863, at Buffalo; mustered in as private, Co. M, November 24, 1863, to serve three years; mustered out with company, July 19, 1865, at Raleigh, N.C.
WARD, WILLIAM.Age, 32 years. Enlisted as private, "unassigned," July 18, 1863, at Troy, to serve three years; no further record. WARD, WILSON K.Age, 21 years. Enlisted, August 15, 1862, at Fulton; mustered in as private, Co. A, August 22, 1862, to serve three years; deserted, date not stated. WARNER, DANIEL.Age, 18 years. Enlisted, August 14, 1862, at Fulton; mustered in as private, Co. A, November 19, 1862, to serve three years; captured, April 20, 1864, at Plymouth, N.C.; died, date not stated, at Andersonville Prison, Ga.
WARNER, JOHN.Age, 18 years. Enlisted, December 31, 1862, at Ogdensburg; mustered in as private, Co. E, March 31, 1863, to serve three years; transferred to Co. C, May 20, 1863; mustered out with company, July 19, 1865, at Raleigh, N.C.
WARNER, LUTHER.Age, 31 years. Enlisted, August 13, 1862, at Fulton; mustered in as private, Co. A, November 19, 1862, to serve three years; captured, April 20, 1864, at Plymouth, N.C.; died date not known, at Andersonville, Ga., prisoner of war. WARNER, STEPHEN H.(Substitute).Age, 31 years. Enlisted, August 12, 1864, at Poughkeepsie; mustered in as private, Co. G, August 12, 1864, to serve one year; mustered out, June 23, 1865. WARNER, WILLIAM.Age, 19 years. Enlisted, December 29, 1862, at Ogdensburg; mustered in as private, Co. E, March 31, 1863, to serve three years; transferred, Co. C, May 20, 1863; captured, June 16, 1863, at Fort Jackson, N.C.; captured near Washington, N.C., July 18, 1863; reported missing at date of muster out of company, July 18, 1865. WARREN, ALFRED.Age, 23 years. Enlisted, December 26, 1862, at Concord; mustered in as private, Co. L, December 27, 1862, to serve three years; no further record. WARREN, HENRY.Age, 22 years. Enlisted as private, "unassigned," August 21, 1863, at Troy, to serve three years; no further record. WARWORTZ, JACOB.Age, 40 years. Enlisted, October 24, 1864, at Summit; mustered in as private, Co. G, October 24, 1864, to serve three years; mustered out with company, July 19, 1865, at Raleigh, N.C. WATERS, JOHN.Age, 25 years. Enlisted, January 15, 1863, at Colden; mustered in as private, Co. L, January 16, 1863, to serve three years; no further record. WATERS, JOHN.Age, 21 years. Enlisted, December 27, 1862, at West Seneca; mustered in as private, Co. G, December 27, 1862, to serve three years; transferred to Co. D, May 20, 1863; appointed corporal, March 23, 1864; reduced, date not stated; mustered out with company, July 19, 1865, at Raleigh, N.C. WATERS, LYMAN B.Age, 20 years. Enlisted, August 22,1 863, at Buffalo; mustered in as private, Co. K, September 10, 1863, to serve three years; appointed corporal, June 16, 1864; mustered out with company, July 19, 1865, at Raleigh, N.C.; third enlistment; prior service in Thirty-sixth New York Volunteers. WATKINS, HARLOW.Age, 25 years. Enrolled, August 28, 1863, at Waterloo; mustered in as second lieutenant, Co. L, October 1, 1863, to serve three years; first lieutenant, Co. M, May 17, 1864; captain, CO. I, December 4, 1864; mustered out with company, July 19, 1865, at Raleigh, N.C. Commissioned second lieutenant, November 20, 1863, with rank from September 30, 1863, original; first lieutenant, April 29, 1864, with rank from March 30, 1864, vice Lansing, resigned; captain, October 31, 1864, with rank from October 24, 1864, vice Ellison, discharged. WATKINS, NELSON M.Age, 31 years. Enlisted, August 6, 1863, at Oswego; mustered in as private, Co. I, September 2, 1863, to serve three years; appointed wagoner, date not stated; sergeant, October 29, 1864; reduced, December 22, 1864; mustered out with company, July 19, 1865, at Raleigh, N.C.; prior service in twenty-fourth New York Volunteer Infantry. WATKINS, STEPHEN.Age, 30 years. Enlisted, February 5, 1863, at Concord; mustered in as private, Co. E, February 5, 1863, to serve three years; no further record. WATKINS, THOS., see Walton, Thomas. WATSON, JAMES.Age, 23 years. Enlisted as sergeant, November 7, 1862, at Ogdensburg; mustered in as sergeant, Co. E, March 31, 1863, to serve three years; reduced to corporal; transferred to Co. F, May 20, 1863; appointed sergeant, August 9, 1863; transferred to Co. E, October 21, 1863; captured, April 20, 1864, at Plymouth, N.C.; confined at Andersonville, Ga.; released at N. E. Bridge, March 9, 1865; mustered out, June 26, 1865, at Annapolis, Md. WATSON, JAMES.Age, 24 years. Enlisted, September 17, 1864, at Buffalo; mustered in as private, "unassigned," September 17, 1864, to serve three years; no further record. WATSON, JAMES C.Age, 32 years. Enlisted, February 9, 1863, at Buffalo; mustered in as private, Co. F, February 9, 1863, to serve three years; transferred to Co. E, May 20, 1863; mustered out with company, July 19, 1865, at Raleigh, N.C.
WATSON, JOHN.Age, 35 years. Enlisted, November 27, 1862, at Hoosick; mustered in as private, Co. B, March 31, 1863, to serve three years; transferred to Co. C, May 20, 1862; deserted, May 21, 1863, from Staten Island. WATSON, JOHN.Age, 38 years. Enlisted, November 18, 1862, at Cuba; mustered in as wagoner, Co. F, March 31, 1863, to serve three years; appointed farrier, date not stated; transferred to Co. E, October 24, 1863; appointed quartermaster sergeant, May 20, 1864; reduced to commissary sergeant, July 19, 1864; mustered out, June 10, 1865, at Raleigh, N.C.
WATSON, ROBERT W.Age, 22 years. Enlisted, October 28, 1863, at Buffalo; mustered in as private, Co. M, November 24, 1863, to serve three years; discharged for enlistment in United States Navy, April 28, 1864; prior service on navy gun boat, Pittsburgh. WATSON, THEODORE D.Age, 21 years. Enlisted, August 28, 1862l, at Oswego; mustered in as private, Co. B, November 19, 1862, to serve three years; mustered out with company, July 19, 1865, at Raleigh, N.C.
WATSON, WILLIAM.Age, 22 years. Enlisted as private, CO. I, August 27, 1863; mustered in as private, Co. M, November 24, 1863, to serve three years; appointed corporal, same date; reduced, April 26, 1864; deserted, July 4, 1865, at Welden, N.C.
WATT, HENRY, see Mott, Henry. WATT, JOHN.Age, 43 years. Enlisted, November 29, 1862, at Buffalo; mustered in as private, "unassigned," November 29, 1862, to serve three years; no further record. WATTS, DAVID.Age, 45 years. Enlisted, January 7, 1864, at Amenia; mustered in as private, "unassigned," January 12, 1864, to serve three years; no further record. WEATHERWAX, JACOB.Age, 21 years. Enlisted as private, Co. F, December 24, 1862, at Plattsburgh; deserted, prior to muster in of company, April 28, 1863. WEBB, WILLIAM T.Age, 21 years. Enlisted, August 13, 1863, at New York city; mustered in as private, Co. I, September 2, 1863, to serve three years; mustered out with company, July 19, 1865, at Raleigh, N.C.; also borne as William J.
WEBER, CHRISTOPHER.Age, 23 years. Enlisted, November 29, 1862, at Buffalo; mustered in as private, Co. H, November 29, 1862, to serve three years; no further record. WEBER, FRED. J.Age, 18 years. Enlisted, September 9, 1863, at Buffalo; mustered in as teamster, Co. L, September 25, 1863, to serve three years; appointed bugler, date not stated; mustered out with company, July 19, 1865, at Raleigh, N.C. WEEKS, NOAH L.Age, 21 years. Enlisted, January 15, 1863, at New York city; mustered in as sergeant, Co. F, April 28, 1863, to serve three years; appointed commissary sergeant, same date; reduced, May 25, 1863; appointed corporal, May 28, 1863; commissary sergeant, June 4, 1863; discharged, January 10, 1864, for promotion as second lieutenant, One Hundred and Thirty-second New York Volunteers. WEHREN, EUGENE.Age, 25 years. Enlisted, November 29, 1862, at Yonkers; mustered in as private, "unassigned," November 29, 1862, to serve three years; no further record. WEILER, JOSEPH.Age, 35 years. Enlisted, November 24, 1862, at Clarence; mustered in as private, "unassigned," November 24, 1862, to serve three years; no further record. WEISHEIMER, FREDK.Age, 19 years. Enlisted, June 16, 1863, at Buffalo; mustered in as private, Co. H, August 27, 1863, to serve three years; captured, March 8, 1865, at Wises Forks, N.C.; returned to duty, June 20, 1865; mustered out with company, July 19, 1865, at Raleigh, N.C.; prior service in Twenty-first New York Volunteers. WEISMORE, GEORGE.Age, 38 years. Enlisted, August 26, 1862, at Granby; mustered in as private, Co. B, November 19, 1862, to serve three years; appointed regimental teamster, date not stated; reduced, date not stated; mustered out with company, July 19, 1865, at Raleigh, N.C.
WELCH, DANIEL S., see Welsh, Daniel S.
WELCH, JOHN.Age, 35 years. Enlisted, July 20, 1863, at Oswego; mustered in as private, Co. I, September 2, 1862, to serve three years; confined in Fort Totten, N.C., sentence of general court-martial; unexpired sentence remitted; returned to duty, May 15, 1865; deserted, July 4, 1865, at Tarboro, N.C.
WELCH, THOMAS.Age, 19 years. Enlisted, December 20, 1862, at Albany; mustered in as private, Co. E, March 31, 1863, to serve three years; no further record. WELCH, WILLIAM.Age, 32 years. Enlisted, December 1, 1862, at West Troy; mustered in as private, Co. E, March 31, 1863, to serve three years; no further record. WELLES, ALANSON P.Age, 23 years. Enrolled, April 3, 1863, at New York city; mustered in as first lieutenant, Co. F, April 28,1863, to serve three years; discharged, June 23, 1863. Not commissioned. WELLINGTON, R. G.Age, 20 years. Enlisted, August 15, 1862, at Oswego; mustered in as private, Co. A, November 19, 1862, to serve three years; appointed first sergeant, April 23, 1863; captured, April 20, 1864, at Plymouth, N.C.; died, September 6, 1864, in Andersonville Prison, Ga.; borne as Wellington, Gleason R.
WELLS, MATTHEW.Age, 23 years. Enlisted, September 20, 1864, at Avon; mustered in as private, Co. H, September 20, 1864, to serve one year; discharged, June 23, 1865, under General Order No. 83, Adjutant-Generals Office, etc. WELSH, DANIEL S.Age, 26 years. Enlisted, December 19, 1862, at Buffalo; mustered in as private, Co. G, December 19, 1862, to serve three years; transferred to Co. D, May 20, 1863; appointed corporal, September 16, 1863; mustered out with company, July 19, 1865, at Raleigh, N.C.; also borne as Welch. WELSH, THOMAS, see Walsh, Thomas. WELSH, WILLIAM.Age, 23 years. Enlisted as a private, "unassigned," November 14, 1862, at Ciaverack, to serve three years; no further record. WELTZ, JACOB.Age, 22 years. Enlisted, November 29, 1862, at New York; mustered in as private, "unassigned," November 29, 1862, to serve three years; no further record. WENTINK, JOHN.Age, 20 years. Enlisted, January 15, 1863, at Buffalo; mustered in as corporal, Co. E, January 15, 1863, to serve three years; no further record. WENTELL, JOHN.Age, 21 years. Enlisted, October 14, 1864, at West Union; mustered in as private, Co. L, October 14, 1864, to serve one year; deserted, June 30, 1865, at Halifax, N.C.
WESEL, JOHN.Age, 23 years. Enlisted, February 6, 1863, at West Seneca; mustered in as private, Co. F, February 6, 1863, to serve three years; transferred to Co. E, May 20, 1863; appointed sergeant, August 7, 1864; mustered out with company, July 19, 1865, at Raleigh, N.C.; also borne as Wetzel. WEST, ALBERT.Age, 44 years. Enlisted, September 14, 1864, at Avon; mustered in as private, Co. L, September 14, 1864, to serve one year; transferred to Co. A, January 1, 1865; discharged, July 10, 1865, at Albany. WEST, FRANCIS.Age, 24 years. Enlisted, December 1, 1862, at New York city; mustered in as private, "unassigned," December 1, 1862, to serve three years; no further record. WEST, ROWLAND R.Age, 32 years. Enrolled, January 3, 1863, at Albany; mustered in as captain, Co. D, January 10, 1863, to serve three years; as major, to date October 14, 1864; mustered out with regiment, July 19, 1865, at Raleigh, N.C. Commissioned captain, November 20, 1863, with rank from January 3, 1863, original; major, September 26, 1864, with rank from August 24, 1864, vice Gaspar, discharged. WESTERFIELD, WILLIAM.Age, 21 years. Enlisted, December 29, 1862, at Cheektowaga; mustered in as private, "unassigned," December 29, 1862, to serve three years; no further record. WESTLEY, ROBERT.Age, 21 years. Enlisted, December 15, 1862, at Cheektowaga; mustered in as private, Co. L, December 18, 1862, to serve three years; transferred to Co. E, May 20, 1863; deserted, may 21, 1863, from Staten Island. WETZEL, JOHN, see Wesel, John. WHALEN, DANIEL.Age, 18 years. Enlisted, August 28, 1863, at New York; mustered in as private, Co. I, September 2, 1863, to serve three years; mustered out with company, July 19, 1865, at Raleigh, N.C.
WHALAN, DENNIS.Age, 18 years. Enlisted, September 6, 1864, at Albany; mustered in as private, Co. M, September 12, 1864, to serve one year; in confinement at date of muster out of company, July 19, 1865; no further record. WHEATON, OLIVER.Age, 34 years. Enlisted, December 26, 1862, at Buffalo; mustered in as private, Co. L, December 26, 1862, to serve three years; no further record. WHEELER, EUGENE.Age, 18 years. Enlisted, October 15, 1863, at Buffalo; mustered in as private, co. M, November 24, 1863, to serve three years; appointed corporal, same date; reduced, January 13, 1864; captured, March 30, 1865; released, April 28, 1865; mustered out, July 1, 1865, at New York city. WHEELOCK, DANIEL S.Age, 37 years. Enlisted, September 6, 1864, at Albany; mustered in as private, Co. D, September 6, 1864, to serve one year; discharged, June 23, 1865, at Tarboro, N.C.; also borne as Daniel A.
WHEET, WM. H.Age, 34 years. Enlisted, August 21, 1863, at Buffalo; mustered in as sergeant, Co. L, September 25, 1863, to serve three years; reduced, October 29, 1863; appointed quartermaster sergeant, March 17, 1864; mustered out with company, July 19, 1865, at Raleigh, N.C.
WHIPPLE, HENRY.Age, 18 years. Enlisted, August 14, 1862, at Fulton; mustered in as private, Co. A, August 22, 1862, to serve three years; deserted, prior to muster in of company, November 19, 1862. WHITE, DAVID.Age, 21 years. Enlisted, September 6, 1864, at Albany; mustered in as private, Co. M, September 13, 1864, to serve one year; mustered out, June 23, 1865, under General Order No. 83, Adjutant-Generals Office, etc. WHITE, JAMES.Age, 30 years. Enlisted, December 5, 1862, at Dunkirk; mustered in as private, Co. L, December 5, 1862, to serve three years; no further record. WHITE, LEROY.Age, 19 years. Enlisted, September 15, 1864, at Avon; mustered in as private, Co. H, September 15, 1864, to serve one year; discharged, June 23, 1865, under General Order No. 83, Adjutant-Generals Office, etc. WHITEHOUSE, GEORGE H.Age, 18 years. Enlisted, September 26, 1864, at Schenectady; mustered in as private, Co. M, September 26, 1864, to serve one year; mustered out, June 23, 1865, under General Order No. 83, Adjutant-Generals Office. WHITEHOUSE, JOHN F.Age, 35 years. Enlisted, September 5, 1863, at New York city; date of muster in not stated; prior service in Co. B, Third Regiment, Maryland Volunteers; no further record. WHITESIDE, RICHARD.Age, 21 years. Enlisted, September 19, 1863, at Buffalo; mustered in as private, Co. L, September 25, 1863; to serve three years; discharged, to enter United States Navy, May 17, 1864. WHITHAM, HENRY W.Age, 19 years. Enlisted, July 2, 1863, at Buffalo; mustered in as private, Co. H, August 27, 1863, to serve three years; captured, March 8, 1865, at Wises Forks, N.C.; mustered out, August 25, 1865, at New York city; borne also as Whitman, Henry. WHITMORE, JOHN.Age, 41 years. Enlisted, October 30, 1862, at Buffalo; mustered in as private, Co. M, November 24, 1863, to serve three years; transferred to Co. A, and appointed commissary sergeant, January 1, 1865; discharged, June 28, 1865; also borne as Whittimore and Withmore. WHITNEY, AUGUSTUS.Age, 22 years. Enlisted, March 3, 1864, at Troy; mustered in as private, "unassigned," March 4, 1864, to serve three years; no further record. WHITNEY, JOHN R.Age, 21 years. Enlisted, November 15, 1862, at Buffalo; mustered in as sergeant, Co. H, November 15, 1862, to serve three years; transferred to Co. D, May 20, 1863; appointed first sergeant, March 23, 1864; reduced to sergeant, November 1, 1864; mustered out with company, July 19, 1865, at Raleigh, N.C.
WHITNEY, ROZELL.Age, 21 years. Enlisted, August 14, 1862, at Oswego; mustered in as private, Co. A, November 19, 1862, to serve three years; captured, April 20, 1864, at Plymouth, N.C.; died, date not stated, in Andersonville Prison, Ga.
WIEBOB, JOHN, see Wield, John. WIELD, JOHN.Age, 18 years. Enlisted, November 17, 1863, at Buffalo; mustered in as private, co. M, November 24, 1863, to serve three years; mustered out with company, July 19, 1865, at Raleigh, N.C.; also borne as Wiebob. WIGGINS, ANDREW I.Age, not stated. Enlisted, January 23, 1863, at Buffalo; mustered in as private, Co. E, January 24, 1863, to serve three years; transferred to Co. D, January 24, 1863, died of wounds, August 5, 1863. WILBER, KINNER.Age, 38 years. Enlisted, December 1, 1862, at Hudson; mustered in as private, Co. C, February 17, 1863, to serve three years; no further record. WILBER, SAMUEL.Age, 26 years. Enlisted, August 24, 1863, at Buffalo; mustered in as commissary sergeant, Co. L, September 25, 1863, to serve three years; reduced to ranks, November 5, 1863; reappointed, December 25, 1863; deserted, July 14, 1865, at Halifax, N.C.
WILCONSON, SAMUEL B.Age, 21 years. Enlisted, August 31, 1864, at Troy; mustered in as private, "unassigned," September 9, 1864, to serve one year; discharged, June 23, 1865, at Tarboro, N.C.; also borne as Wilkinson. WILCOX, DORRON.Age, 20 years. Enlisted, September 16, 1864, at Mount Morris; mustered in as private, Co. I, September 16, 1864, to serve one year; discharged, June 23, 1865, at Tarboro, N.C.
WILCOX, GEORGE.Age, 43 years. Enlisted, April 3, 1863, at Buffalo; mustered in as private, Co. B, April 3, 1863, to serve three years; transferred to Co. D, May 20, 1863; died of disease, November 21, 1864, in Regimental Hospital, Camp Palmer, N.C.
WILCOX, GEO. H.Age, 26 years. Enlisted, January 4, 1864, at New York; mustered in as private, Co. F, January 4, 1864, to serve three years; captured, April 20, 1864, at Plymouth, N.C.; died of disease, on or about July 10, 1864, at Andersonville, Ga.
WILCOX, HENRY.Age, 21 years. Enlisted, August 13, 1862, at Fulton; mustered in as private, Co. A, November 19, 1862, to serve three years; captured, April 20, 1864, at Plymouth, N.C.; paroled and joined company, date not stated at Goldsboro, N.C.; mustered out with company, July 19, 1865, at Raleigh, N.C.
WILCOX, MYRON.Age, 31 years. Enlisted, August 22, 1862, at Volney; mustered in as private, Co. B, November 19, 1862, to serve three years; mustered out with company, July 19, 1865, at Raleigh, N.C.
WILCOX, SAMUEL W.Age, 32 years. Enlisted, September 16, 1864, at Avon; mustered in as private, Co. I, September 16, 1864, to serve one year; killed in action, March 20, 1865, at Bear Creek, N.C.
WILCOX, THOS. F.Age, 22 years. Enlisted, September 12, 1864, at Springwater; mustered in as private, Co. F, September 12, 1864, to serve one year; mustered out June 23, 1865, at Tarboro, N.C.
WILDERMAN, JOHN.Age, 37 years. Enlisted as private, Co. E, December 19, 1862, at Albany; deserted previous to muster in of company, March 31, 1863. WILKENSON, PHILO.Age, 25 years. Enlisted, September 3, 1864, at Troy; mustered in as private, Co. E, September 3, 1864, to serve one year; died of disease, November 21, 1864, at Camp Palmer, N.C.
WILKINSON, SAMUEL B., see Wilconson, Samuel B.
WILLIAMS, ANDY.Age, 18 years. Enlisted, September 2, 1863, at Buffalo; mustered in as private, Co. L, September 25, 1863, to serve three years; mustered out with company, July 19, 1865, at Raleigh, N.C.
WILLIAMS, CHARLES.Age, 22 years. Enlisted, December 19, 1862, at New York; mustered in as private, "unassigned," December 19, 1862, to serve three years; no further record. WILLIAMS, CHARLES.Age, 23 years. Enlisted, March 14, 1863, at Albany; mustered in as private, Co. B, March 31, 1863, to serve three years; no further record. WILLIAMS, GEORGE.Age, 23 years. Enlisted, December 15, 1862, at New York; mustered in as private, "unassigned," December 17, 1862, to serve three years; no further record. WILLIAMS, GEORGE.Age, 26 years. Enlisted, October 30, 1863, at Buffalo; mustered in as private, Co. M, November 24, 1863, to serve three years; discharged for disability, September 20, 1864, at Buffalo, N.Y.
WILLIAMS, GEORGE W.Age, 29 years. Enlisted, November 20, 1862, at Westfield; mustered in as private, Co. D, November 20, 1862, to serve three years; no further record. WILLIAMS, GEORGE W.Age, 31 years. Enlisted, September 10, 1863, at Buffalo; mustered in as private, Co. K, September 10, 1863, to serve three years; appointed corporal, date not stated; deserted to the enemy, December 9, 1863. WILLIAMS, GUST.Age, 41 years. Enlisted, December 4, 1862, at Buffalo; mustered in as private, Co. H, December 4, 1862, to serve three years; no further record. WILLIAMS, JAMES.Age, 27 years. Enlisted, December 27, 1862, at West Seneca; mustered in as private, Co. D, December 27, 1862, to serve three years; no further record. WILLIAMS, JOHN.Age, 21 years. Enlisted as private, "unassigned," November 5, 1862, at Claremont, to serve three years; no further record. WILLIAMS, PHILEMON.Age, 18 years. Enlisted, November 20, 1862, at buffalo; mustered in as private, Co. H, November 20, 1862, to serve three years; transferred to Co. D, May 20, 1863; discharged, to enter United States Navy, March 17, 1864. WILLIAMS, THOMAS.Age, 27 years. Enlisted, December 15, 1862, at Cheektowaga; mustered in as private, Co. L, December 15, 1862, to serve three years; no further record. WILLIAMS, WALTER.Age, 22 years. Enlisted, August 30, 1864, at Oswego; mustered in as private, co. B, August 30, 1864, to serve one year; mustered out, June 23, 1865, under General Order No. 83, Adjutant-Generals Office, etc. WILLIAMS, WILLIAM.Age, 39 years. Enlisted, December 24, 1863, at Buffalo; mustered in as corporal, Co. C, December 24, 1863, to serve three years; mustered out with company, July 19, 1865, at Raleigh, N.C.
WILLSON, WILLIAM A.Age, 21 years. Enlisted, December 4, 1862, at Sardinia; mustered in as private, Co. D, December 4, 1862, to serve three years; no further record. WILMARTH, SHELDON.Age, 18 years. Enlisted, August 27, 1863, at Troy; mustered in as private, Co. I, September 2, 1863, to serve three years; mustered out with company, July 19, 1865, at Raleigh, N.C.
WILSON, ALANSON.Age, 26 years. Enlisted, January 29, 1863, at Cheektowaga; mustered in as private, Co. F, January 29, 1863, to serve three years; transferred to Co. E, May 20, 1863; deserted to the enemy, August 3, 1863, from Plymouth, N.C.
WILSON, DAVID.Age, 26 years. Enlisted, August 29, 1862, at Oswego; mustered in as private, Co. B, November 19, 1862, to serve three years; missing in action, at Tarboro, N.C., date not stated; paroled at Annapolis, Md., date not stated; returned to duty, May 21, 1864; captured, March 11, 1865, at Carr Creek, N.C.; returned to duty, June 9, 1865; mustered out with company, July 19, 1865, at Raleigh, N.C.
WILSON, FRANK.Age, 24 years. Enlisted, February 15, 1864, at New York; mustered in as private, Co. K, February 15, 1864, to serve three years; discharged, June 8, 1865, at New Berne, N.C.
WILSON, GEORGE.Age, 23 years. Enlisted, September 22, 1864, at Troy; mustered in as private, "unassigned," September 23, 1864, to serve one year; no further record. WILSON, GEORGE H.Age, 21 years. Enlisted as private, "unassigned," November 4, 1862, at Claremont, to serve three years; no further record. WILSON, HENDRY.Age, 25 years. Enlisted, August 11, 1864, at Poughkeepsie; mustered in as private, "unassigned," August 11, 1864, to serve one year; no further record. WILSON, HENRY.Age, 21 years. Enlisted, November 10, 1862, at Buffalo; mustered in as sergeant, Co. D, November 11, 1862, to serve three years; transferred to Co. A, May 20, 1863; captured, July 20, 1863, at Tarboro, N.C.; returned to duty, October 31, 1863; captured, April 20, 1864, at Plymouth, N.C.; paroled, at Annapolis, Md., date not stated; discharged, May 8, 1865. WILSON, HENRY.Age, 44 years. Enlisted, June 25, 1863, at Troy; mustered in as private, Co. L, September 2, 1863, to serve three years; appointed farrier, date not stated; mustered out with company, July 19, 1865, at Raleigh, N.C.
WILSON, JAMES. Age, 25 years. Enlisted, December 13, 1862, at Buffalo; mustered in as private, Co. E, December 13, 1863, to serve three years; no further record. WILSON, JOHN. Age, 18 years. Enlisted, December 4, 1862, at Buffalo; mustered in as private, Co. H, December 4, 1862, to serve three years; no further record. WILSON, JOHN.Age, 26 years. Enlisted, December 6, 1862, at New York; mustered in as private, "unassigned," December 9, 1862, to serve three years; no further record. WILSON, JOHN.Age, 22 years. Enlisted, August 27, 1863, at Buffalo; mustered in as private, Co. L, September 25, 1863, to serve three years; appointed blacksmith, October 1, 1863; mustered out with company, July 19, 1865, at Raleigh, N.C.
WILSON, ROBERT.Age, 23 years. Enlisted, November 17, 1862, at Buffalo; mustered in as private, Co. H, November 17, 1862, to serve three years; no further record. WILSON, THOMAS E.Age, not stated. Enlisted, January 11, 1864, at New York; mustered in as private, Co. I, January 11, 1864, to serve three years; in confinement under sentence of general court-martial, June 1864, at New Berne; discharged, for promotion to second lieutenant, One Hundred and Ninth United States Colored Volunteers, November 26, 1864. Commissioned second lieutenant, March 31, 1864, with rank from March 31, 1864, vice Cooper, promoted; not mustered. WILSON, WILLIAM.Age, 21 years. Enlisted, August 31, 1863, at Buffalo; mustered in as corporal, Co. L, September 25, 1863, to serve three years; reduced January 12, 1864; mustered out with company, July 19, 1865, at Raleigh, N.C.
WIRNER, FREDERICK.Age, 35 years. Enlisted, March 16, 1863, at Buffalo; mustered in as private, "unassigned," March 17, 1863, to serve three years; no further record. WINCHELL, CALVIN.Age, 21 years. Enlisted, October 29, 1864, at Ward; mustered in as private, Co. D, October 29, 1864, to serve three years; transferred to Co. A, November 26, 1864; absent, sick in Northern Hospital, upon muster out of company, July 19, 1865; no further record. WINDER, HENRY.Age, 40 years. Enlisted, December 9, 1862, at New York; mustered in as private, "unassigned," December 9, 1862, to serve three years; no further record. WINGALL, JAMES.Age, 28 years. Enlisted, July 18, 1863, at Oswego; mustered in as private, Co. G, August 7, 1863, to serve three years; deserted, August 27, 1863, at Staten Island, N.Y.
WINSLOW, JAMES.Age, 18 years. Enlisted, April 27, 1863, at Buffalo; mustered in as private, Co. E, April 27, 1863, to serve three years; transferred to Co. D, May 20, 1863; transferred to the Navy, March 17, 1864. WINSLOW, OLDEN.Age, 27 years. Enlisted, October 22, 1864, at West Union; mustered in as private, Co. G, October 22, 1864, to serve one year; mustered out with company, July 19, 1865, at Raleigh, N.C.
WINSLOW, SANFORD.Age, 23 years. Age, 27 years. Enlisted, October 22, 1864, at West Union; mustered in as private, Co. G, October 22, 1864, to serve one year; mustered out with company, July 19, 1865, at Raleigh, N.C.
WINTER, CHARLES.Age, 25 years. Enlisted, December 28, 1863, at New York; mustered in as private, Co. E, December 28, 1863, to serve three years; appointed saddler, no date given; died, March 9, 1865, at New Berne, N.C.
WINZER, ADOLPH.Age, 42 years. Enlisted, December 23, 1862, at Aurora; mustered in as private, Co. L, December 23, 1862, to serve three years; transferred to Co. E, May 20, 1863; mustered out, June 6, 1865, at New Berne, N.C.
WINTERS, JOHN.Age, 38 years. 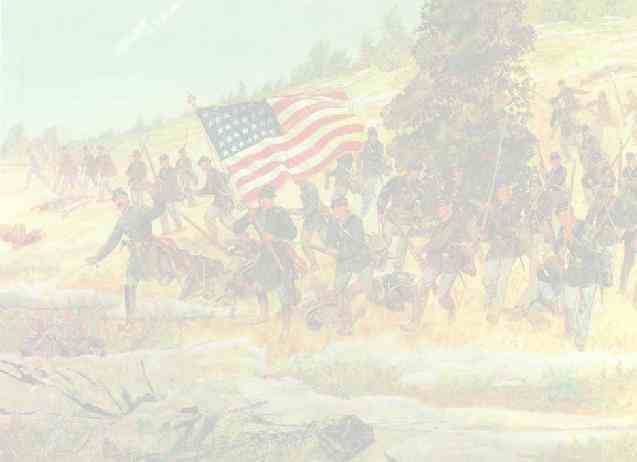 Enlisted, July 10, 1863, at Troy, as private, "unassigned," to serve three years; no further record. WISKER, JOHN A., see Kisker, John A.
WTHMORE, JOHN, see Whitmore, John. WITHROW, GEORGE H.Age, 37 years. Enlisted, November 21, 1864, at Buffalo; mustered in as private, Co. B, November 21, 1864, to serve three years; mustered out with company, July 19, 1865, at Raleigh, N.C.
WOLCOTT, SAMUEL E.Age, 22 years. Enlisted, September 14, 1864, at Avon; mustered in as private, Co. E, September 14, 1864, to serve one year; mustered out, June 14, 1865, at Washington, D.C.
WOLF, LOUIS V.Age, 21 years. Enlisted, February 18, 1863, at New York; mustered in as private, Co. F, April 28, 1863, to serve three years; died at Andersonville, Ga., no date given. WOOD, CALEB H.Age, 25 years. Enlisted, September 4, 1862, at Austerlitz; mustered in as commissary sergeant, Co. C, February 17, 1863, to serve three years; reduced to ranks, May 23, 1863; transferred to Co. A, January 1, 1865; mustered out with company, July 19, 1865, at Raleigh, N.C.
WOOD, CHARLES.Age, 31 years. Enlisted, November 18, 1862, at Westfield; mustered in as private, Co. D, November 18, 1862, to serve three years; no further record. WOOD, JAMES F.Age, 24 years. Enlisted, September 1, 1864, at Avon; mustered in as private, Co. M, September 4, 1864, to serve one year; in confinement at muster out of company, July 19, 1865; no further record. WOOD, WILLIAM.Age, 18 years. Enlisted, August 4, 1863, at Buffalo; mustered in as private, Co. H, August 27, 1863, to serve three years; captured, September 22, 1864, at Deep Gully; mustered out with company, July 19, 1865, at Raleigh, N.C.
WOODS, ARTHUR.Age, 19 years. Enlisted, August 31, 1863, at Buffalo; mustered in as corporal, Co. K, September 10, 1863, to serve three years; appointed sergeant, October 14, 1863; commissary sergeant, no date given; confined in Craven street jail, New Berne, N.C., from April 25, 1864; sentenced to forfeit three months pay, from July 20, to October 20, 1864; mustered out, August 9, 1865, at Buffalo, N.Y.; prior service in Ninth New York Volunteers. WOODS, GEORGE.Age, 24 years. Enlisted, September 12, 1864, at Troy; mustered in as private, "unassigned," September 15, 1864, to serve one year; no further record. WOODS, JOHN.Age, 25 years. Enlisted, November 24, 1862, at Hudson; mustered in as private, Co. C, February 17, 1863, to serve three years; no further record. WOODS, THOMAS.Age, 30 years. Enlisted, December 9, 1863, at New York; mustered in as private, Co. I, December 9, 1863, to serve three years; returned from desertion with loss of pay and restored to duty March 15, 1864; appointed corporal, January 29, 1865; reduced to ranks, June 10, 1865; mustered out with company, July 19, 1865, at Raleigh, N.C.; prior service in Sixth New York Volunteer Infantry. WOODS, TIMOTHY.Age, 21 years. Enlisted, March 3, 1863, at New York; mustered in as private, Co. G, August 7, 1863, to serve three years; transferred to Co. F, no date given; died February 20, 1864, in hospital, at Plymouth, N.C.
WOODARD, ELI J.Age, 28 years. Enlisted, November 24, 1862, at Amherst; mustered in as private, Co. D, November 24, 1862, to serve three years; no further record. WOODRUFF, GEORGE C..Age, 24 years. Enlisted, September 10, 1864, at Salina; mustered in as private, co. D, September 10,1 864, to serve one year; discharged, June 23, 1865, at Tarboro, N.C.
WOODWARD, MARVIN W.Age, 26 years. Enlisted, September 8, 1864, at Seneca; mustered in as private, Co. D, September 8, 1864, to serve one year; discharged, June 23, 1865, at Tarboro, N.C.
WOODWORTH, ORVILLE.Age, 21 years. Enlisted, May 21, 1863, at New York; mustered in as private, Co. G, August 7, 1863, to serve three years; deserted, August 27, 1863, at Staten Island, N.Y.
WOOLEY, GEORGE W.Age, 40 years. Enlisted, September 13, 1864, at Avon; mustered in as private, Co. M, September 13, 1864, to serve one year; mustered out, June 23, 1865, per General Order No. 83. WOOSTER, ORRIN.Age, 18 years. Enlisted, August 21, 1862, at Volney; mustered in as private, Co. B, November 19, 1862, to serve three years; died of disease, September 25, 1864, at General Hospital, New Berne, N.C.
WOOSTER, ORREN P.Age, 33 years. Enlisted, October 6, 1864, at Avon; mustered in as private, Co. L, October 6, 1864, to serve one year; mustered out with company, July 19, 1865, at Raleigh, N.C.; also borne as Orrin B. WORTH, JAMES R.Age, 28 years. Enlisted, November 29, 1862, at Lincklaen; mustered in as private, Co. E, March 31, 1863, to serve three years; no further record. WORTHINTON, JOHN.Age, 33 years. Enlisted, December 9, 1862, at Greenville, as private, "unassigned," to serve three years; no further record. WREDE, FRED.Age, 24 years. Enlisted, August 21, 1863, at New York city; mustered in as bugler, Co. B, no date given, to serve three years; mustered out with company, July 19, 1865, at Raleigh, N.C.; also borne as Reed. WRIGHT, DAVID.Age, 25 years. Enlisted, August 22, 1864, at Poughkeepsie; mustered in as private, Co. F, August 22, 1864, to serve one year; appointed corporal, April 20, 1865; killed, May 7, 1865, at Kingston, N.C.
WRIGHT, JAMES.Age, not given. Appears only as private, Co. F, December 31, 1864; no further record. WRIGHT, JAMES H.Age, 21 years. Enlisted, April 20, 1863, at Syracuse; mustered in as corporal, Co. G, August 7, 1863, to serve three years; reduced, November 1, 1863; appointed corporal, July 5, 1864; died, December 28, 1864, at Foster General Hospital, New Berne, N.C.
WRIGHT, JOSEPH.Age, 33 years. Enlisted, March 30, 1864, at Niagara; mustered in as private, "unassigned," March 30, 1864, to serve three years; no further record. WRIGHT, MARTIN C.Age, 23 years. Enlisted, September 8, 1864, at Seneca; mustered in as private, Co. I, September 8, 1864, to serve one year; discharged, June 23, 1865, at Tarboro, N.C.; also borne as Merston C.
WRIGHT, NATHAN B.Age, 21 years. Enlisted, October 10, 1863, at Buffalo; mustered in as corporal, Co. M, November 24, 1863, to serve three years; reduced to ranks, January 13, 1864; mustered out with company, July 19, 1865, at Raleigh, N.C.
WRIGHT, WALTER.Age, 17 years. Enlisted, February 2, 1863, at Concord; mustered in as private, Co. F, February 4, 1863, to serve three years; transferred to Co. E, May 20, 1863; mustered out with company, July 19, 1865, at Raleigh, N.C.
WRIGHT, WILLIAM.Age, 22 years. Enlisted, September 15, 1864, at Buffalo; mustered in as private, "unassigned," September 15, 1864, to serve one year; no further record. WUHER, JOSEPH.Age, 34 years. Enlisted, November 24, 1862, at Buffalo; mustered in as private, Co. H, November 20, 1862, to serve three years; no further record. WYLES, CORTLAND.Age, 25 years. Enlisted, December 15, 1862, at Oswego; mustered in as corporal, Co. B, March 31, 1863, to serve three years; transferred to Co. C, May 20, 1863; deserted; May 21, 1863, from Staten Island; also borne as Nyles. YEHLE, HERMANN. - Age, 21 years. Enlisted, August 25, 1863, at Buffalo; mustered in as private, Co. K, September 10, 1863, to serve three years; mustered out with company, July 19, 1865, at Raleigh, N.C.; prior service in Thirty-first New York Volunteers. YERGE, WILLIAM. - Age, 18 years. Enlisted, August 20, 1863, at Buffalo; mustered in as private, Co. K, September 10, 1863, to serve three years; mustered out with company, July 19, 1865, at Raleigh, N.C.
YOUNG, ALFRED. - Age, 42 years. Enlisted, November 28, 1862, at Buffalo; mustered in as private, Co. D, November 28, 1862, to serve three years; no further record. YOUNG, CHARLES. - Age, 21 years. Enlisted, February 3, 1863, at Buffalo; mustered in as private, Co. E, February 3, 1863, to serve --- years; no further record. YOUNG, JOHN. - Age, 22 years. Enlisted, February 3, 1863, at Buffalo; mustered in as private, Co. E, February 3, 1863, to serve three years; no further record. YOUNG, JOHN R. - Age 28 years. Enlisted, August 7, 1863, at New York; mustered in as private, Co. M, November 24, 1863, to serve three years; appointed sergeant, November 29, 1863; first sergeant, May 2, 1864; reduced to ranks at own request, May 13, 1865; mustered out with company, July 19, 1865, at Raleigh, N.C.
YOUNG, JOSEPH. - Age, 18 years. Enlisted, November 7, 1862, at Hudson; mustered in as private, Co. C, February 17, 1863, to serve three years; no further record. YOUNG, JOSEPH. - Age, 27 years. Enlisted, February 8, 1864, at New York; mustered in as private, Co. M, February 8, 1864, to serve three years; appointed corporal, May 2, 1864; reduced August 5, 1864; appointed corporal, November 26, 1864; mustered out with company, July 19, 1865, at Raleigh, N.C.
YOUNG, WILLIAM. - Age, 21 years. Enlisted, November 12, 1862, at Hudson; mustered in as private, co. C, February 17, 1863, to serve three years; no further record. ZEIMER, JOSEPH. - Age, 21 years. Enlisted, April 22, 1863, at New York; deserted, prior to muster in of Co. F, April 28, 1863. ZEIZER, ANDREW, see Sizer, Andrew. ZENIBER, WILLIAM. - Age, 19 years. Enlisted, September 19, 1864, at Buffalo; mustered in as private, "unassigned," September 19, 1864, to serve three years; no further record. ZERBY, CHARLES. - Age, 21 years. Enlisted, September 25, 1863, at Buffalo; mustered in as private, Co. L, October 13, 1863, to serve three years; appointed corporal, October 18, 1863; sergeant, November 19, 1863; mustered out with company, July 19, 1865, at Raleigh, N.C.
ZIMMERMAN, ALBERT. - Age, 21 years. Enlisted, September 4, 1863, at Buffalo; mustered in as private, Co. K, September 10, 1863, to serve three years; transferred to Co. A, January 1, 1865; mustered out with company, July 19, 1865, at Raleigh, N.C.; prior service in Twenty-first New York Volunteer Infantry. ZIMMERMAN, LEWIS. - Age, 19 years. Enlisted, September 21, 1863, at Buffalo; mustered in as private, Co. L, September 25, 1863, to serve three years; appointed corporal, date not stated; transferred to Co. A, January 1, 1865; mustered out with company, July 19, 1865, at Raleigh, N.C.; also borne as Zimmerson. ZINK, GEORGE. - Age, not stated. Borne as private, Co. K, on casualty roll, and as discharged, June 15, 1865, at Raleigh, N.C.
ZIZER, ANDREW, see Sizer, Andrew. ZWING, JACOB. - Age, 27 years. Enlisted, August 11, 1863, at Buffalo; mustered in as private, Co. K, September 10, 1863, to serve three years; appointed corporal, March 19, 1865; mustered out with company, July 19, 1865, at Raleigh, N.C.